Dimensions 0.75 by 3.25 by 6.50 in. 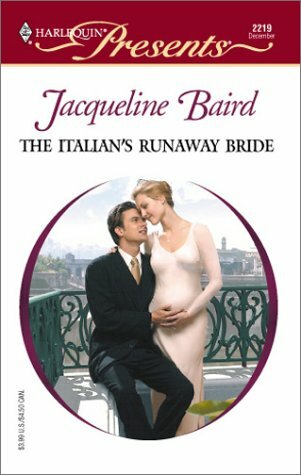 Amazon.com description: Product Description: The Italian's Runaway Bride by Jacqueline Baird released on Nov 23, 2001 is available now for purchase. Large print edition from Harlequin Mills & Boon (May 1, 2002); titled "The Italian's Runaway Bride"
With Philip Glass | from Harlequin Books (December 1, 2001); titled "The Italian's Runaway Bride"
About: The Italian's Runaway Bride by Jacqueline Baird released on Nov 23, 2001 is available now for purchase. About: The long-awaited memoir by “the most prolific and popular of all contemporary composers” (New York Times). About: New York Times Bestseller "Reads the way Mr.
With Jacqueline Baird | from Harlequin Books (December 1, 2001); titled "The Italian's Runaway Bride"
About: [Read by Lloyd James]A world-renowned composer of symphonies, operas, and film scores, Philip Glass has, almost single-handedly, crafted the dominant sound of late twentieth-century classical music.